Spanish national coach, Javier Minguez, has presented a preselection for the World Championships of Innsbruck. The list includes Mikel Landa and his final inclusion will depend on his recovery. 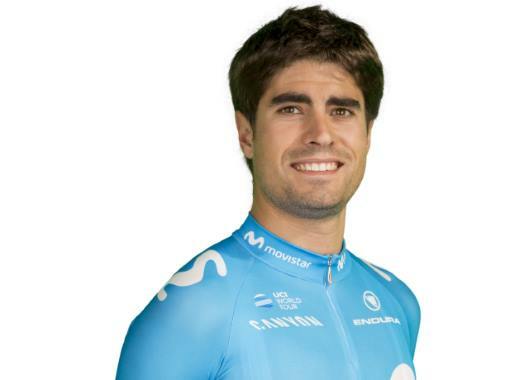 Mikel Landa suffered a crash at the Clasica San Sebastian in which he suffered lumbar and vertebra fractures that took him out of the selection of Movistar for the Vuelta a España. He is in the late stages of his recovery and that's why he has been included in the preselection for the World Championships. "It will be Mikel's decision, not Movistar's and not mine," said Minguez to Spanish news agency EFE after he presented the preselection. "He will tell me if he can prepare properly and ride the Championships. If he tells me that, he will go. It is his responsibility. I'm not the one riding, so I don't know how he's feeling." Along with Landa, the other preselected riders are: Jonathan Castroviejo, Alejandro Valverde, Ion Izagirre, Enric Mas, Mikel Nieve, Jesus Herrada, David de la Cruz, Omar Fraile, Pello Bilbao, Marc Soler, Ruben Fernandez, Jorge Arcas and Lluis Mas. For the time trial, Castroviejo is the only confirmed rider for the Individual Time Trial and he could have the company of Imanol Erviti or Marc Soler, but if Soler is picked, then he will not ride the road race.